The Mazda BT-50 is built to do it all – work or play. 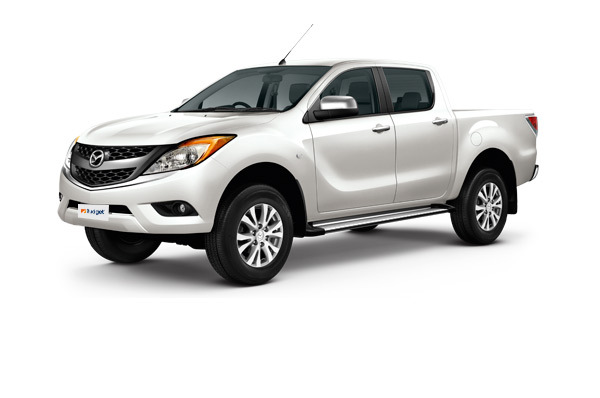 Rugged and stylish, the Mazda BT-50 handles all situations. Is this your perfect vehicle? Enquire now. Budget Vanuatu's vehicle makes and models are based upon availability. Fleet and vehicle specifications are subject to change without notice. Vehicle models and specifications may vary and supply of specific models or colours cannot be guaranteed. The number of passengers and luggage indicated is a guide only. Luggage capacity may vary depending on the number of passengers and/or position of rear seats. Pictures are for illustration purposes.